Christina is at the tail end of her Fulbright Fellowship in Australia. She went Down Under to study the Green Python (Morelia viridis), and then switched to a different iconic species: the Palm Cockatoo (Probosciger aterrimus). 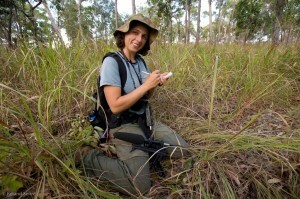 She has nearly completed her Masters degree at The Australian National University, and she is glad to report that, during her wildlife research on Cape York Peninsula (far north Queensland, AUS), she has achieved some significant, on-the-ground conservation in this untamed and special place, just a few hundred kilometers from Papua New Guinea. Also, a scientific publication of her results is nearly ready for submission to an international journal. While Christina and her research supervisor get along swimmingly, and both aim to achieve conservation outcomes, she is leaning toward taking a gap year or two before committing to a Ph.D. program. 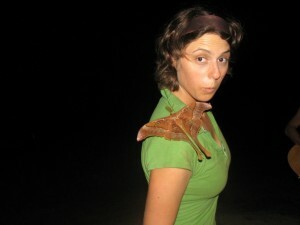 She wants to work on conservation projects that have a faster chance of having an effect. While Alex did not win a Strauss Scholarship to create a community/educational garden here at UCI, the process of applying was invaluable to him making this project a reality. Concomitantly to applying for the Strauss, he applied to the Green Initiative Fund on campus. He received almost $20,000 – the equivalent of a Strauss Scholarship. Then, he and his team worked with administrators through ASUCI to introduce and actualize the project. The main struggle was finding land that everyone was okay with. Finally, this summer, through the advocacy of the former and current ASUCI presidents, and through support from the Student Affairs office, they were granted a 1/4- acre in the middle of AV Housing! Alex is now the ASUCI Garden Co-Commissioner. Stay tuned. Cristian is currently working for the US Department of State as a Special Assistant to the Race, Ethnicity, and Social Inclusion Unit for the Bureau of Western Hemisphere. She supports initiatives in the Latin America region that address the issue of discrimination, specifically in Brazil and Colombia. The unit works to address issues of discrimination bilaterally and regionally against traditionally discriminated-against communities, such as Afro-Latinos and Indigenous peoples. The Merage foundation funds provided as a Fellow have been integral for her survival as she transitioned into a new city and started a new professional job as a recent graduate. Without the Merage fellowship , she would have had an extremely challenging and difficult transition in affording basic needs, such as housing and work attire. Also the Merage Fellowship helped her clearly define and organize her American Dream, which has been helpful as she moves forward in her career development as a young professional. You are currently browsing the Scholarship Opportunities Program blog archives for October, 2010.